The Louisville Bats pulled a game closer to the International League playoffs with a 16-6 win over Indianapolis. Left fielder Michael Griffin was 4-5 with two home runs, a triple, four RBI and four runs scored. The Lexington Legends tallied just five hits in a 1-0 loss to Rome. Right-handed pitcher Juan Minaya fell to 4-12 on the season despite surrendering just one run on four hits in eight innings. The Bowling Green Hot Rods finished a series sweep of Dayton with a 7-1 win Friday. Second baseman Kyle Spraker homered and drove in three runs. Former UofL infielder Chris Dominguez was 2-4 with a triple, home run, three RBI and three runs scored for low A Augusta. Frankfort native and 2010 Royals draftee Cameron Conner reached base four times, scored once and drove in one run for rookie-level Idaho Falls. Louisville native Seth Bynum slugged his 14th home run of the season for AAA Syracuse. Braves right-handed pitching prospect Michael Broadway, born in Paducah, earned his fifth win of the season despite surrendering four runs in two innings for AAA Gwinnett. UK now has three alumni from the 2008 draft playing in the minor leagues. Which lefty starting pitcher joined Clint Tilford and Chris Wade as professional from the 2009 Cats? Check out these Friday links to find out. Former UK pitcher Chris Rusin made his professional debut for the rookie AZL Cubs Wednesday, pitching two scoreless innings in a start. A sixth-inning rally gave Delmarva the sweep of Lexington with a 5-2 victory. Louisville rallied late, but lost its first game of the second half 4-3 to Durham. Bowling Green used three home runs to beat Lakewood in a slugfest 14-11. UK Athletics passes on an update on summer league players and former Cat Ryan Strieby being named to the AA Eastern League All-Star Game. According to EKU Sports third baseman Jayson Langfels finished the 2009 season as the highest RBI per game total in the NCAA. Michael Grant at the Courier-Journal previews the second half for the Louisville Bats. The Cal Ripken Sr. Foundation has funded a “Badges for Baseball” program for at-risk Kentucky youth. Wednesday was a big night for Louisville outfielder Drew Stubbs at the AAA All-Star Game. He was 2-5 with a home run and two RBI in the game. Louisville pitcher Justin Lehr earned the start for the International League and pitched a 1-2-3 first inning. Minorleaguebaseball.com provides a recap of the game including quotes from Lehr and Stubbs. Here is the box score of Louisville manager Rick Sweet International League 6-5 victory. The Bowling Green bullpen blew a lead in the ninth inning to deny Chris Andjuar his SAL-leading 10th victory in a 4-3 loss to Lakewood. Delmarva clinched the series victory with a 3-1 win over Lexington Wednesday. UofL Sports passes on some updates of Cardinals in summer league action. EKU Sports reports that former Colonel Tyler Sellers was named to the AA Eastern League All-Star Team. Sellers was 0-2 in the game. Jody Demling at the Courier-Journal passes on information about Tates Creek High School two-sport star Ryan Fucci in his recruiting notebook. Fucci is being recruited by UK, UofL, Michigan, Butler and Illinois in baseball. David Thomas at the Jackson Sun in Jackson, Tenn., profiles Louisville Bats infielder Drew Sutton. If you click over to the “Ky. in the Minors” page you can see an in-depth list of every minor league player with Kentucky ties. As always, if you know of a player who is not on the list you can send me an email at jhale@blugrassbaseball.com. So you have a list of every Kentucky player in the minors, but which of those players have the best chance to become impact major leaguers? My goal in this series of posts is to let you know which minor leaguers from Kentucky are top prospects. I’ll start by examining where these players and the members of the state’s three minor league teams rank on their Baseball America’s organization top 30s and will work toward a master list of Kentucky prospects. In the first installment of the “BluGrass Baseball Top Prospects” post, here are the top organizational prospects on the state’s three minor league teams according to Baseball America. #6 — LHP Matt Moore — According to Baseball America, Moore’s only weakness entering 2008 was his control which he dramatically improved on during his time with rookie Princeton. After posting a 2-2 record with a 1.66 ERA in 2008, BA said that Moore only needed to prove himself against tougher competition. Moore, a 2007 8th round pick, hasn’t disappointed this season in Bowling Green. The lefty is 6-3 with a 2.87 ERA with 116 strikeouts and 45 walks in 81.2 innings. # 18 — C Jake Jeffries — Jeffries was the Rays third round pick in 2008 out of UC Davis. In his first professional season he batted .315 with two home runs and 41 RBI for short season Hudson Valley. Jeffries has continued to hit for Bowling Green this season. He is currently hitting .270 with six home runs and 43 RBI in 77 games. He has shown and exceptional eye at the plate with 28 walks and 25 strikeouts in 281 at-bats. #27 — OF Kyeong Kang — Kang was the first South Korean to be selected in the MLB amateur players draft. 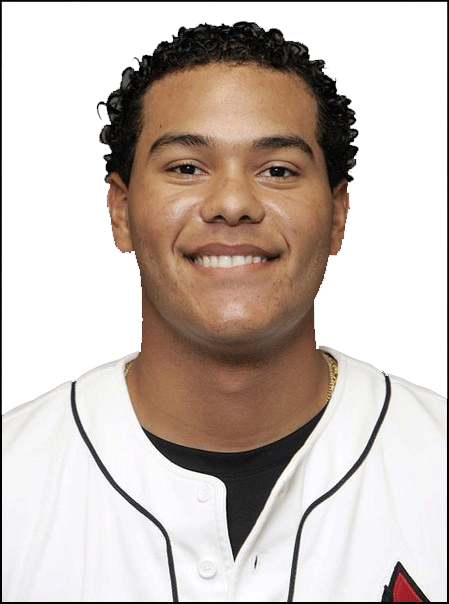 He moved to the United States with his family in high school and was selected by the Rays in the 15th round of the 2006 draft. Kang was named a mid-season all-star in the New York-Penn League in 2008 and finished the year with a .278 average, six home runs and 43 RBI. Kang was selected to represent the Rays for the World team in the 2009 Futures Game. Through 48 games for Bowling Green, Kang is batting .285 with two home runs and 22 RBI. Hit the jump for the top prospects on the Lexington Legends and Louisville Bats. Tuesday night was just another victory for the American League in the MLB All Star game, but there were more BluGrass Baseball storylines unfolding across baseball than met the eye. Former Legend Ben Zobrist struck out in his only appearance in the game for the American League, and former Legend Hunter Pence didn’t see any action for the National League in the 4-3 AL victory. Louisville Bats pitcher Justin Lehr will start for the International League tonight in the AAA All-Star game. The Legends dropped their second game of the road trip to Delmarva 7-3. Matt Moore earned his sixth win of the season in Bowling Green’s 7-4 victory over Lakewood. WKU Sports passes on an update of former Hilltoppers in the minor leagues. The News-Enterprise in Hardin County, profiles former Meade County and UofL pitcher B. J. Rosenberg, a reliever for low A Lakewood. Jason Stella of Examiner.com has a Q&A with Louisville Bats outfielder Drew Stubbs. Chris Dominguez was promoted to short-season Salem-Keizer and is 6-14 with two home runs, eight RBI and six runs scored in his first three games in the Northwest League. The Delmarva Shorebirds set new highs for runs scored and margin of victory in their 19-0 shutout of Lexington. Bowling Green didn’t fare quite as badly as Lexington, but still lost 9-4 to the Lakewood BlueClaws. Chris Heisey of Louisville continues to rake in the accolades. He was named International League Player of the Week Monday after batting .450 with two home runs and 9 RBI. Louisville manager Rick Sweet will manage the International League team in the AAA All-Star Game tonight, and he’ll have Bats outfielder Drew Stubbs and RHP Justin Lehr at his disposal in the game. WKU will host a Labor Day Showcase camp for teenagers interested in playing college baseball. Sean McMann of the Poughkeepsie Journal passes along a post about Bowling Green outfielder Kyeong Kang with a video from the Futures Game on his blog. The Cleveland Indians signed second-round pick Jason Kipnis. Kipnis was the Pac 10 POY, but before he was a star for Arizona State he was an outfielder for UK. Kipnis was dismissed from the team at UK for a violation of team rules following a hot start to the 2007 season. According to Baseball America’s weekly Minor League Transactions update the Dodgers promoted Kentucky Wesleyan alum Cory Wade to the majors, and the Astros released former Legend Jeff Icenogle. The “Ice Man” was a favorite of mine from a terrible 2008 Legends team. He thought his baseball career was over before the Astros signed him, but he actually posted impressive numbers in the second half of last season. Here’s hoping he catches on somewhere if he wants to keep playing baseball. In a match-up of Kentuckians, EKU alum Christian Friedrich earned the win in his first start back from injury for High A Modesto. The losing pitcher in that game was North Hardin alum Nathan Adcock. Sunday’s Futures Game will be remembered for its four-hour rain delay, and the representatives from Kentucky minor league teams would probably prefer it remain that way. The two Bluegrass representatives combined to go 0-3 with a strikeout and four men left on base. Bowling Green right fielder Kyeong Kang popped out in a pinch hit appearance in the top of the seventh before remaining in the game to play left field in the bottom of the inning, and Louisville outfielder Chris Heisey earned the start in left field for the U. S. team, but was 0-2 with a strikeout in the game. Here is the complete box score for the Futures Game. Jim Callis at Baseball America also has a recap of the World team’s 7-5 victory. The MLB All-Star break will be interesting for both Futures Game outfielder Chris Heisey and Louisville outfielder Drew Stubbs. Cincinnati Reds outfielder Jay Bruce broke his wrist and will be out for an extended time. John Fay at the Cincinnati Enquirer breaks down the likelihood of the Reds calling up one of the two Louisville prospects to replace Bruce. The Reds did recall Adam Rosales from Louisville to take Bruce’s roster spot Sunday. Ross Bagienski recaps the Bats’ 8-4 victory over the Columbus Clippers Sunday. The Legends and Hot Rods were off Sunday. Lexington opens a four-game series in Delmarva tonight, and Bowling Green starts a four-game set in Lakewood. Georgetown College will host tryouts for the Under Armour Baseball Factory for high school baseball players. Mark Story at the Herald-Leader has a column about Legends executive Alan Stein. I missed this Friday, but Mark Maloney profiles Lexington outfielder Jay Austin’s power surge. Fordham Athletics ran a story about the school’s reaction to alum John Mollicone being named SAL player of the week for Bowling Green. Lafayette alum Chaz Roe lowered his ERA to 2.85 with seven strong innings for AA Tulsa, and UK alum Scott Green earned his ninth save for High A Lakeland. The Bowling Green Daily News reports on the Hot Rods’ series clinching victory over Charleston. Savannah pitcher Robert Carlson fired a three-hit shutout to beat the Legends by eight Saturday. The Bats blew a lead in the ninth but rallied to win in 10 innings. Michael Grant of the Courier-Journal looks at the first half International league all-stars. Kentucky’s three minor league teams will be represented in the MLB Futures Game by two player this weekend. The Futures Game is sponsored by XM Radio and will take place Sunday as part of the first MLB All-Star Week festivities. The game is a chance to see some of the top prospects in baseball match up in a US vs. World format. Each major league team must be represented by at least one player. Prospects from higher levels of the minor leagues are sometimes favored in the roster selection process. The Bowling Green Hot Rods had one player selected to the World roster. Outfielder Kyeong Kang was ranked the 27th best prospect in the Tampa Bay organization by Baseball America before the season. Kang is the first South Korean to go through the amateur player’s draft. He spent the final two years of high school in Georgia after moving from South Korea. The Rays took him in the 30th round of the 2006 draft and signed his as a draft-and-follow the next year. The second Bluegrass Futures Game representative is Louisville outfielder Chris Heisey. Heisey was already named a minor league mid-season all-star by Baseball America for his first half performance. Heisey’s .350 average is the fifth highest batting average in full-season leagues this year. He has the fourth most hits (113), seventh most runs scored (64), fifth most total bases (189) and the tenth highest slugging percentage (.585) in the minors. According to BA, Heisey might be the most unheralded U. S. outfielder in the Futures Game this season. BA ranked his the 22nd best prospect in the Reds’ system before the season and said he had the potential to grow into a valuable role-player at the major league level. After batting .350 with 16 home runs and 53 RBI between AA Carolina and AAA Louisville, Heisey has shattered those predictions. You can find individual capsules about every member of the Futures game at Baseball America. The Bats used a big third inning to defeat the Columbus Clippers 5-3. The Legends added Kirkland Rivers to the roster to replace promoted Ashton Mowdy and lost 5-2 to the Savannah SandGnats. Tampa Bay top prospect Tim Beckham drove in the winning run in the 11th inning to give Bowling Green a 5-4 victory over the Charleston RiverDogs.